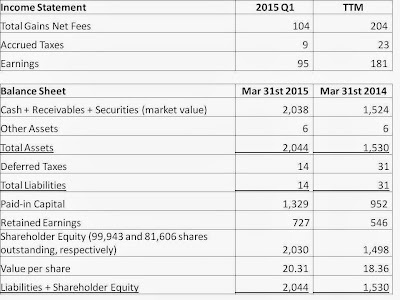 For the first quarter ended March 31st, 2015, KVF earned $0.95 per share, increasing the value of each share to $20.31. However, most of these gains were currency-related; the US dollar strengthened, increasing the value of the fund's US assets when expressed in Canadian dollars. Currency gains were $0.87 per share on the quarter, meaning securities gains were just $0.08 per share. Results excluding currency gains were fairly close to those of the broader indices, which were up in the low single-digits. Keeping the fund's returns positive as of late were strong price increases in Dover Downs Entertainment and Reitmans. 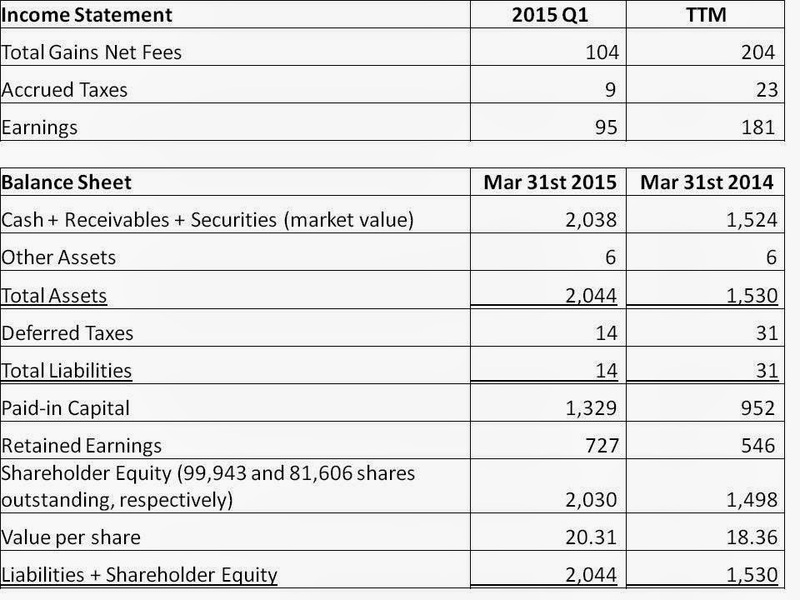 KVF no longer holds shares in these companies, as described here and here, respectively. Disappointing developments in Aberdeen International resulted in KVF liquidating its position in that security, as described here. US large-caps continue to trade at levels that are elevated relative to their historical norms. As such, the portfolio's shift towards smaller and more international stocks has continued. While most of the time KVF avoids investing in oil/gas and related industries, the recent price crash has offered up some opportunities to pick-up some potential bargains when viewed from a long-term perspective.